Okay for the price....Colors are nice.... A update love this scarf ! Adds color to my line of black clothing. Very festive may I add. I do recommend. 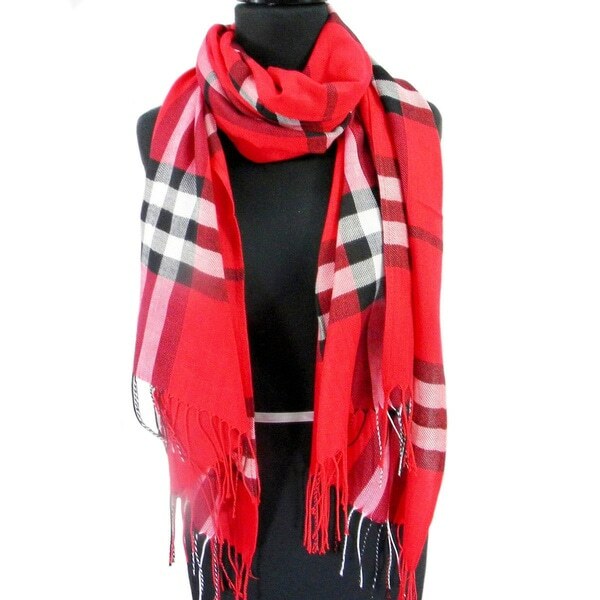 Fashion Womens Solid Scarf Beach Wrap Pareo Hijab Cover Up - 35"x68"
Elegantly soft and beautiful, this 100-percent pashmina scarf features a plaid pattern that will add to any ensemble. With fringed ends, this stylish scarf is available in red, brown or blue so you can pick the one that best matches your look. We are a small business located in New Jersey we have beenin business since 2009 our very creative design team is constantlycoming up with new and unique ideas on how to improve accessoriesand make them versatile for our growing client base. Very attractive scarf. Beautiful colors) Red. Looks very expensive. Received many compliments. Thrilled with everything about this scarf- beautiful colors, quality and light weight (don't like heavy scarves). Value for money is incredible. I am a scarf lover, this rates highly! GA Bull-Dawg colors fit the bill! Looks exactly like the photo but soft and silky. Made a wonderful gift for my daughter for Christmas! I would recommend this item - highly! I love the scarf - it's a nice fabric and so versatile, I will be able to do and accessorize it with many tops, dresses coats, etc. I highly recommend i! -Love it ! I bought one for myself & ordered two more for gifts. It's so beautiful & reasonable! Fast shipping too!! Granddaughters loved them. Very nice quality. Beautiful color, just what I expected! 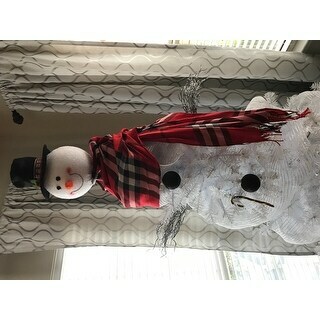 Sent me the wrong item before Christmas and did not receive this scarf. I only tried it on for style - but will get a lot of use - it's awesome and great colors. definitely winter class! Merry Christmas! Comfy and warm! My daughter loved it. I loved this scarf, excellent quality and made the perfect gift to my close friend!!! I got this for myself and i love it. Nice quality and looks great when i wear it with a solid black shirt. I thought it would be heavier, but it is pretty and size is good. I like the color - I think it will be a nice accessory piece to a coat or a long top with leggings or jeans.